NAP is divided into eight regional districts, each represented on the NAP Board of Directors by an elected district director. The district directors represent their constituent state and provincial associations, units, and members at large; serve on the NAP Membership Extension and Retention Committee; and coordinate educational activities on a regional basis. Click on the district links below to visit the district page for that region. 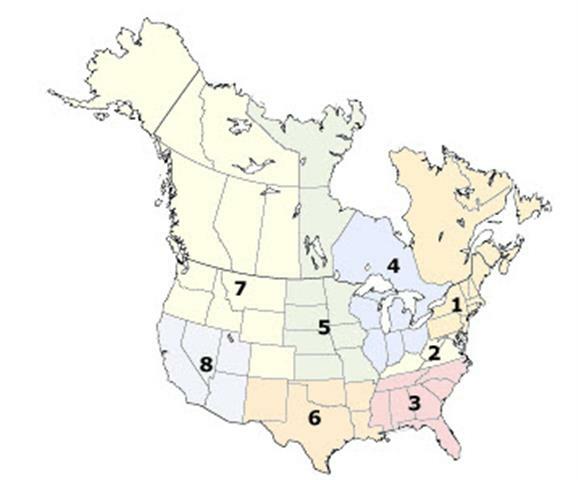 For regions outside the United States and Canada, review the district list below.